Discover out-of-the-way places like Ha Kome Cave Houses and Setsoto Design Gallery. Get some historical perspective at Thaba-Bosiu National Monument and Royal Palace. 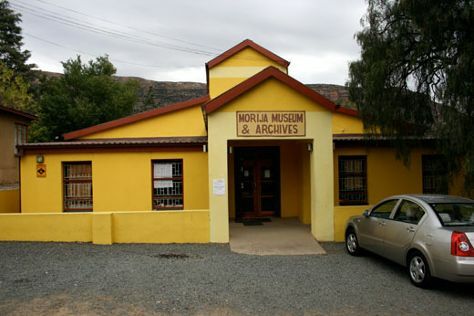 Explore the numerous day-trip ideas around Maseru: Gates of Paradise Pass (in Malealea), Morija Museum & Archives (in Morija) and Maletsunyane Falls (in Semonkong). There's lots more to do: take your sightseeing to a higher altitude at Maluti Mountains, take an in-depth tour of National Museum, look for gifts at Lesotho Co-operative Handicrafts, and try your luck at Lesotho Sun Casino. For reviews, traveler tips, ratings, and more tourist information, read our Maseru sightseeing planner. Montreal, Canada to Maseru is an approximately 30-hour flight. Traveling from Montreal to Maseru, you'll lose 7 hours due to the time zone difference. Prepare for warmer weather when traveling from Montreal in January: high temperatures in Maseru hover around 32°C and lows are around 20°C. On the 19th (Fri), you're off tohome.